Winchester Cathedral has installed a new web-cam to monitor the movements of its resident Peregrines, which have returned to the Cathedral for a third year in a row. 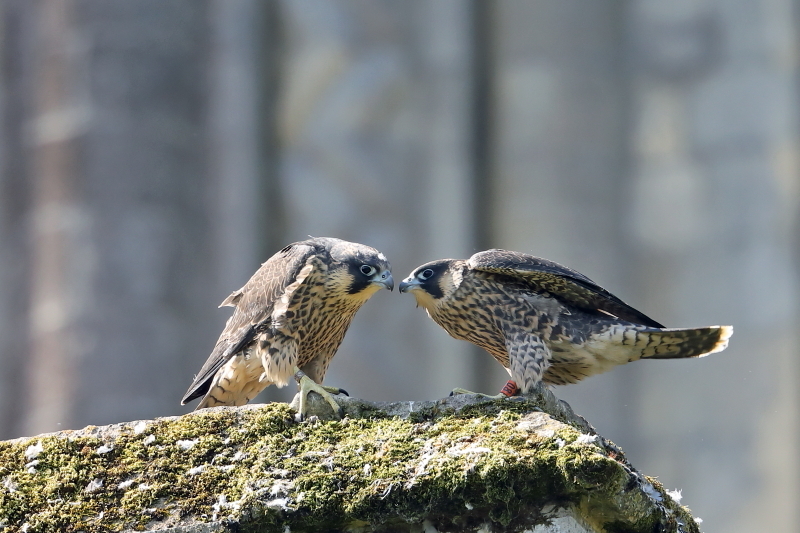 A live link on the Cathedral website gives members of the public the opportunity to follow the progress of the Peregrines as they build their nest. A male and female have already been spotted scoping out the nesting tray installed on the North Transept of the Cathedral. The web-cam will help the Hampshire Ornithological Society track the behaviour of the Peregrines and enable the public to engage with the Peregrines without interfering with their vital breeding process. The Peregrines moved to Winchester Cathedral in 2017 when their home of 6 years, the Police Headquarters on Romsey Road, was demolished. Following the installation of a raised nesting tray in 2018, three beautiful chicks were reared and stayed around the Cathedral for much of the summer. Peregrines are very loyal to their nest sites, and so the Cathedral staff have cleaned the tray in the hope that nesting will take place once again and now introduced the web-cam so we can all hopefully enjoy our own bit of Birdwatch. You can view the webcam on Winchester Cathedral’s website, where there is more information.